The importance of climate services, i.e. providing targeted, tailored, and timely weather and climate information, has gained momentum, but requires improved understanding of user needs. For climate services to achieve their goal of improving adaptation decision making, it is necessary to understand the decision making process and how and when various types of weather and climate information can be incorporated. 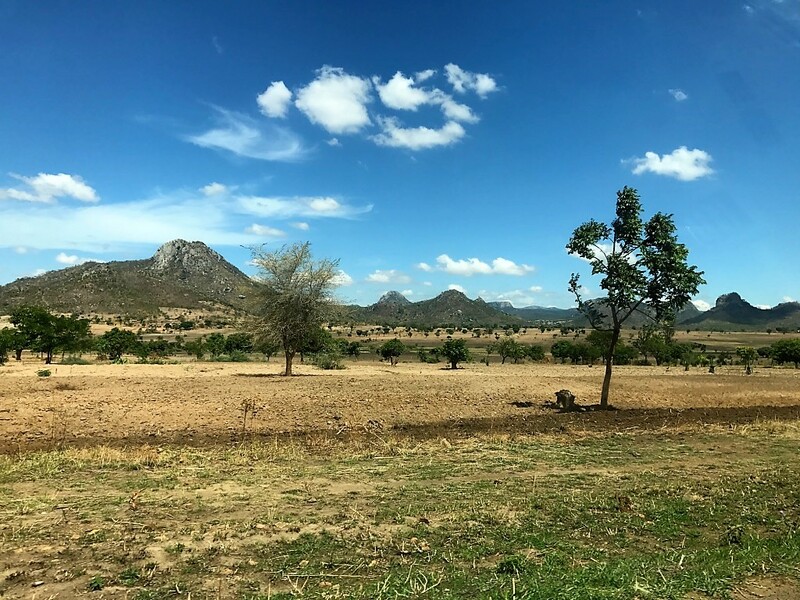 This article identifies the opportunities and barriers to the use of climate services for planning in Malawi, to identify the types of climate information that can more effectively inform future adaptation decisions in sub-Saharan Africa. 1. What climate services do decision makers currently use and what challenges do they face in their use? 2. What weather and climate information do Malawi’s ministries and departments think would be useful to inform their decision making? 3. What is required to increase the use of climate information in decision making? *Download of the full text is available from the right-hand column and via the link provided under Further Resources. A summary of the key messages is provided below. Please refer to the full text and the online supplementary material for more detail. A policy analysis drawing on discourse analysis approaches was undertaken across a range of Malawi national level plans and policy documents to determine climate discourses. This analysis informed the sampling of interviewees within key government departments. Semi-structured interviews were held with senior public sector decision makers and respresentatives from UN agencies, donors and NGOs. Analysis of these interviews informed the design of a national stakeholder workshop based around role-playing and serious games, designed to reflect Malawi’s decision-making processes. Role playing scenarios were designed to give participants the opportunity to think through what climate information would be useful to inform decision making. The 'Paying for Predictions' game involved a simulation that was designed to demonstrate the potential utility of forecast information and projections, while also highlighting levels of (un)certainty. Further details are available in the full text and the online supplementary material. The majority of climate information currently used by Malawian government decision makers is in the form of sub-annual forecasts (i.e. from daily to seasonal). Seasonal forecasts (1-6 months) are currently used to inform annual planning in sectors such as water, energy, agriculture, and disaster management. The article finds no evidence of the use of short- (1–5 years) or medium- (6–20 years) term climate projections in current decision making in any of the government departments where interviews were conducted. This is despite the availability of Malawi-specific projections (McSweeney et al., 2010) and their use in Malawi’s National Communications to the United Nations Framework Convention on Climate Change (UNFCCC). Rather than longer-term climate model-generated projections being used to design investments such as irrigation projects, statistical extrapolations of past observational records (temperature, potential evapo-transpiration rates, and rainfall) are used. Such linear modelling is problematic in that it assumes both robust observational data coverage and that the future will mirror the past, which is unlikely to be the case under projected climate change. 1. Issues of spatial and temporal scale. Available climate information is not downscaled to a sufficient resolution, for example for different agricultural zones, and there is a lack of sub-annual to short-term (1-5 years) climate projections. 2. Accessibility and credibility. Climate information is not tailored, packaged and communicated in a way that is understandable and useable for decison makers in the different contexts for which it is needed. 3. Policy planning cycles and mismatch in timeframes between planning cycles (1–5 years), and climate projections (over 20 years). Short planning horizons make it difficult to integrate medium to long-term climate projections. Translating future climate information into shorter term decision making was cited as a challenge. The article outlines the climate information that Malawi's ministries and departments believe would be useful to inform their decision making. Information that could more usefully inform planning decisions includes rainfall distribution within a season, forecasts with 2–3 week lead times, likely timing and location of extreme events in the short term (1–5 years), and projections (e.g. rainfall and temperature change) in the medium term (6–20 years). More effective packaging and communication of information tailored for specific uses is also needed. The article outlines three key actions to increase the use of climate information in decision making. 1. Capacity building of decision makers around the opportunities and limitations of climate projections. Greater awareness and understanding of the different types of climate information and their opportunities and limitations is needed to enable their improved use in short- to medium-term planning. 2. Developing one set of nationally agreed scenarios. Development of a national set of scenarios would make climate information more accessible to decision makers and help to alleviate confusion surrounding varying uncertainties from different climate models and projections. 3. Identifying boundary organizations to effectively communicate between information providers and users. Boundary organisations that work at the interface between climate science experts (information providers) and decision makers (users) may have a role to play in closing the communication gap between the two.